MP3 Tag Editor, Organizer and Renamer. Supports MP3, WMA, OGG, Flac, M4p, M4a ID Tags. Sorry, there is no site version for handhelds. Here is a short description about this product. Hope to see you again from your PC. TagTuner is not just another MP3 tag editor or mp3 organizer. It is a real time-saver that reduces repetitive typing and speeds up the music collection tagging, file renaming and makes the complex operations easier. It can edit MP3 Id3v1 & Id3v2 tags, supports tags from the Apple Quick Time containers as well as Flac, Ogg, Windows Audio and Video file formats. While making tag edits in different file types you will notice no difference between MP3, ASF or Apple’s AAC tags. However, TagTuner also supports the format-specific operations like MP3 tags synchronization. Remember, there is no difference if you are loking for MP3 tag editor or WMA tag editor - the interface will be the same. TagTuner takes you beyond repetitive typing and dramatically speeds up the creation of perfectly organized music library. Discover the industry-leading tools designed expressly to save more time when tagging music. The blazing level of automation in TagTuner means you spend more time enjoying your music collection. Edit song tags like title, artist, album, track, genre and 20 other. Mine album information from the folder and file names. Find album information online and forget about manual typing. Make complex tag editing easier with industry unique Macro support. 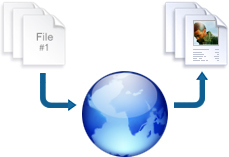 Standardize file names automatically using album information. Rollback any actions and feel free to modify your collection. Make your digital music collection an example of perfect organization. 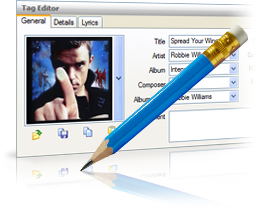 Edit more than 20 basic tags at a time, fill your music files with cover artworks and lyrics. It's always easy, no matter whether you have one file or thousands, the Tag Editor is always close at hand. No extra dialogs or manual typing. You can copy & paste all tags or only specific ones. When you select several songs, Tag Editor collects all tag values in combo boxes, allowing you to spread the right tag value from one song to many others. Sometimes you might make a few edits and decide you don't like them. TagTuner is the first music tag editor that offers you the undo feature. Simply choose Undo from the Edit menu and rollback the recent changes. Since your music collection is constantly growing, well structured files and songs filled with complete information are the best way to find what you need in an instant. Save your time with online album information search. Save even more time using industry leading level of automation - online information lookup, automatic album files and folder renaming along with tags and file names case transformation. Just imagine how a plain boring folder with meaningless file names is suddenly filled with tags, album covers, and the files get proper names that you prefer, and all this at the touch of a button. Use song tags to build meaningful file names for your music collection. Make your own file naming rules for casual albums, compilation CDs and album folders. Then apply them with one click, or use them bundled with Online Album Information Search. Making file naming rules is easy with the Template Editor real-time preview. When you are creating a rule, you'll be able to see how the file name will look once it's changed. Every portion of information can be used to tag your music, including file names. TagTuner comes with easy-to-use crisp logic tag extraction tool. Left to Right – that is everything you need to know to use it. Just tell TagTuner how it should interpret the parts of the selected file names. Which part is a tag you want to extract and what you want to ignore. You also can mine useful information from the folder name, or even jump up to virtually any parent folder to get the tags. When making your music collection look perfect you go through certain edits, but sometimes you might think that the last edits were not necessary or you just pushed the wrong button, and that's where the Undo feature comes in handy. You can roll back your last changes rather than having to retype the needed information. Try this unique feature in the free trial version now! Use build-in player or third parties and have some extra comfort. The build-in player enables you to play all of the supported audio formats while tagging. Explore HotTunes with which you can set the global shortcut keys for your most favorite playlists. Choose playlists that fit your current mood with one keystroke. 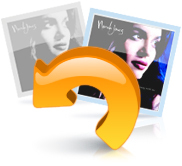 Prefer award wining Winamp player? TagTuner is the only music tag editor that intellectually controls Winamp player. When you tag a file that is currently played in Winamp, TagTuner will pause and then resume the playback. No file sharing violation errors anymore and your active Winamp playlist will be updated every time you rename files in TagTuner. No need for typing. Up to 10 times faster lookup for album tags and cover art delivered from TagTuner's optimized server. Standardizes file names for easy lookup. 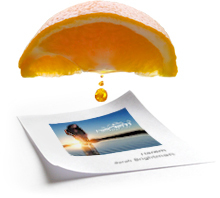 Clean up the tags by extracting information from the file names. Tools to edit, synchronize, copy & paste tags, load cover art for single song or thousands of selected files. Simplify complex tag editing by putting any number of actions into Macro and assign a shortcut key to it. Easily recover from doing an unintended action. Undo rather than having to retype the info. No external music player required. Play music while tagging. Fast switching between favorites playlist with HotTunes. Quick access to TagTuner through Windows Explorer context menu. Access most Windows Explorer functions from TagTuner. Type tags and rename files in any language. Questions answered and quick fixes. Suggestions for new features are welcomed. 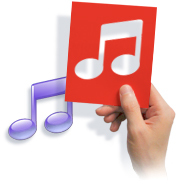 TagTuner supports MP3, Apple AAC and Lossless, Flac, Ogg, Windows Media Audio and Windows Media Video file formats. All logos and trademarks in this site are property of their respective owner. Copyright © 2009 tagtuner.com. All rights reserved.